Scott Riggs is the driver of the No. 10 Valvoline/Eagle One/Centrix Chevrolet for MBV racing. Riggs has 39 Nextel Cup starts with 4 top five finishes and 6 finishes in the top ten. On July 1, 2005, it was announced that Evernham Motorsports would be forming a new third team for the 2006 season using the No. 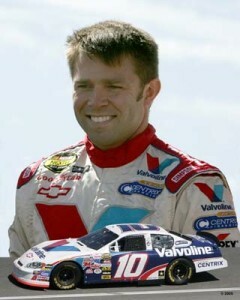 10 and Valvoline as both part-owner of the car and as the primary sponsor for 22 races.